Home > Our Office Locations > Dayton Personal Injury Lawyers > Has Your Baby Suffered A Birth Injury? The day your child is born should be one of the happiest days of your life. But when a medical mistake occurs and your child suffers a birth injury, the consequences can be devastating. We trust medical staff members to care for us and our children. What happens when they make mistakes? An expectant mother entrusts her doctor to deliver a healthy newborn. But unfortunately, thousands of babies are affected by life-threatening and disabling birth injuries every year. At Elk & Elk, our Dayton birth injury attorneys understand the devastating impact that a birth injury can have on your family. We’ve spent over 50 years representing injured babies and their families in Ohio, helping our clients achieve the compensation they deserve so their children can live as normally as possible. For more information about our firm or to schedule a free consultation, call 1-800-ELK-OHIO or contact us online. Our office in Beavercreek is located right off I-675 and Indian Ripple Road, in The Greene Town Center. We represent clients throughout the Dayton metro area and Ohio. We are available 24/7/365 to help you when you need it most. Birth injuries can happen before, during or after delivery and can cause temporary or permanent disability. There are about six to eight injuries per 1,000 births every year, according to Medscape Health Professional Network statistics. An infant can face emotional, physical and medical challenges when he or she is injured due to the negligence of a health care provider. Parents suffer, too: In addition to the emotional devastation, they may have years of overwhelming medical expenses for their child. If your child has suffered a birth injury, our attorneys can evaluate your situation. In some cases, you may be able to pursue your right to compensation through a medical malpractice claim. Expecting parents are naturally anxious about the moment they meet their baby for the first time. You hope that your baby’s body and mind are in perfect condition to begin life. When you discover that something may be wrong, it is heartbreaking. Even if expecting parents do everything they can to protect their baby, medical malpractice can undermine months of effort and hope. While some symptoms are evident immediately upon birth, others may not appear until the child begins – or doesn’t begin – walking or speaking. Birth defects and genetic conditions may have similar symptoms, so you should seek additional medical assessments if your baby displays these signs. It may also help to compare your baby’s growth and mental development to a medical standards chart. If you suspect that your baby’s symptoms are due to medical negligence during pregnancy, labor or neonatal care, contact our medical malpractice lawyers for an assessment of your legal options. We can investigate what happened – and whether your doctor took every step necessary to protect you and your baby. 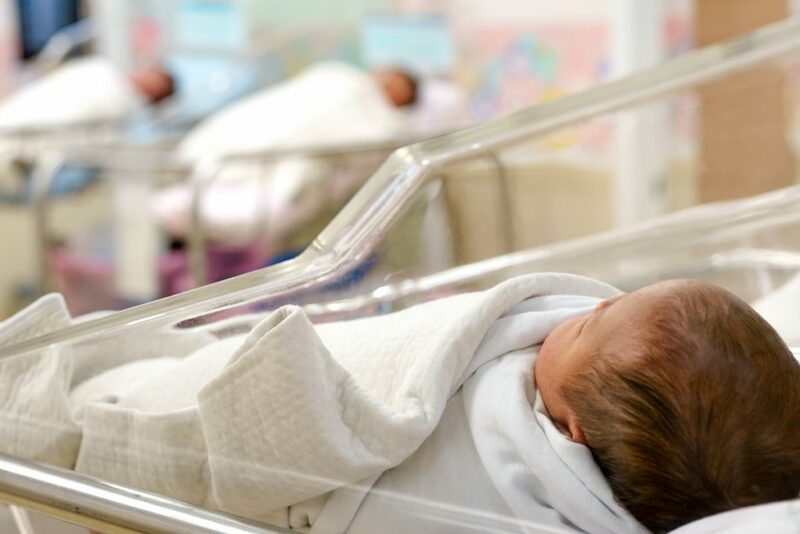 Although circumstances sometimes lead to unavoidable labor complications or birth defects, there are also cases of medical malpractice inflicting preventable injuries on babies. In medical malpractice cases, a nurse, obstetrician or other staff member has made an unreasonable mistake. Birth injuries may be more likely depending on the baby’s size or position during labor and delivery. However, your doctor should be able to respond to any risks accordingly. Can you get compensation if your baby is injured? Because birth injuries typically cause a lifetime of limitations, pain or health needs for victims, compensation is vital for the families who raise these children. If medical malpractice affected your baby, you have a legal right to file a lawsuit against the liable provider or hospital. The total costs of a birth injury can easily soar into hundreds of thousands or millions of dollars. You and your child should not have to deal with this trauma alone. With decades of experience helping Dayton families get the compensation they need to manage life after a serious injury, the passionate lawyers of Elk & Elk Dayton can help you fight negligence. It’s not always possible to assess the full scope of your child’s injuries and the related expenses to your family until your child is older. For this reason, the statute of limitations for birth injuries in Ohio is much longer than it is for other types of medical malpractice cases. Parents can take legal action against a negligent medical provider until the affected child is 19. Given the high costs associated with birth injuries, however, many families cannot afford to wait that long before they get financial support. Therefore, it is important to speak to a lawyer as soon as you suspect medical malpractice. In the early stages of your child’s life, we can monitor any difficulties and get an expert estimate of the total financial and emotional damages over his or her lifetime. Our skilled attorneys fight for justice to give children with birth injuries lives that are as full and comfortable as possible.